At Prolific, our objective is to provide our client with uncompromised excellence, quality, and reliable service. 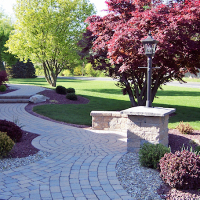 We strive to exceed your expectations and thrive on bringing your landscape dreams to completion. So much thought and effort goes into the design of a home. Your outdoor living areas deserve the same attention. They are sometimes overlooked and yet, they are what make a house a home!